A few weeks ago my dad brought home some apples that he got from the Amish. He came home with boxes of apples. It's been an apple overload around here. But none of us are complaining. Who would? So what does one do with an abundance of locally grown apples? Well the possibilities are endless, my friends. I've had apples on my oatmeal for days upon days. Switching it up of course by adding various other goodies as well. Juicing apples, baking apples, just eating apples as they are in their natural state, etc. etc. I think you get it. So today I decided on an apple crisp. 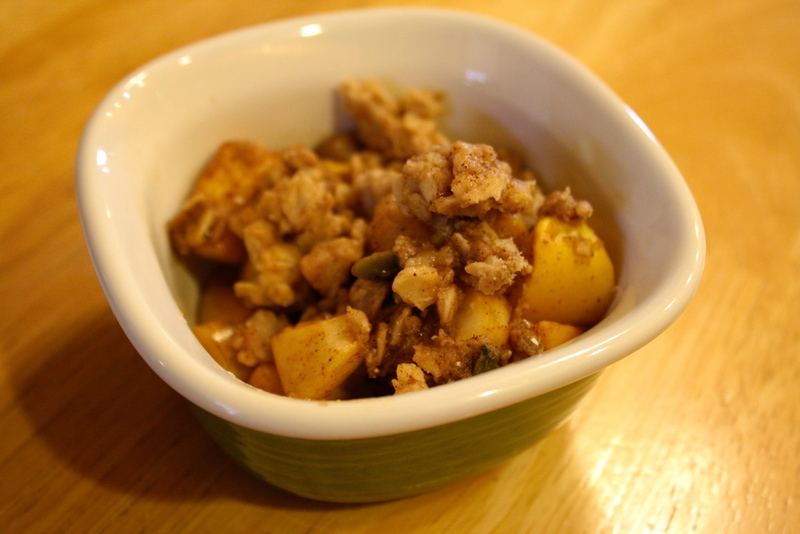 You can't go wrong with apple crisp. I think we can all agree on that. 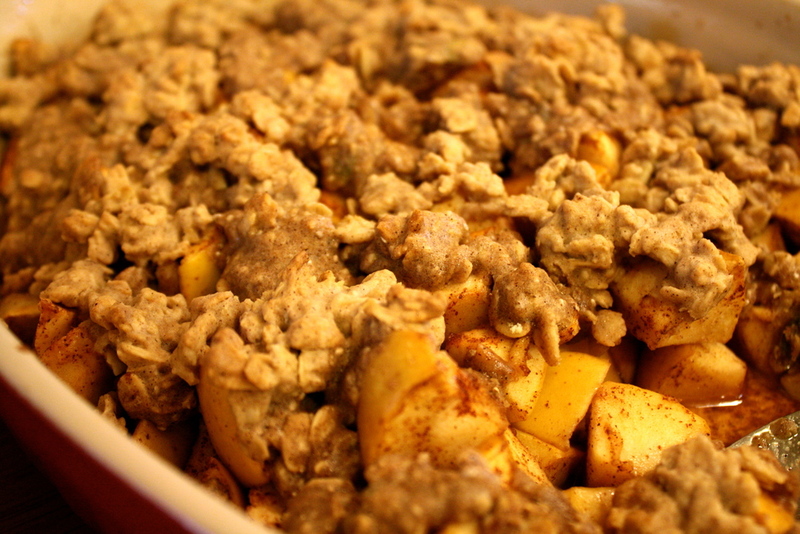 Anyways, this isn't your typical apple crisp. This one is gluten free and vegan (obviously), healthy, nutritious, and most importantly, delicious!